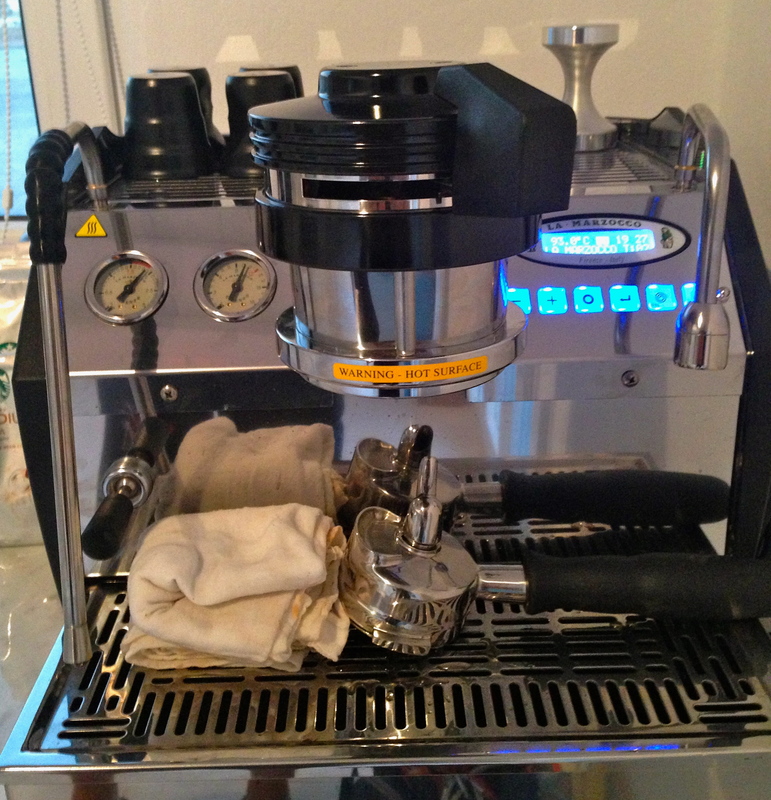 The GS3, a machine to produce an Italian coffee espresso with two boilers. The mechanical paddle leverages the pressure as you paddle it from right to left. The pressure reaches a maximum of 12bar and this percolates the coffee at 94 degrees centigrade. A fantastic machine and thanks to JM.